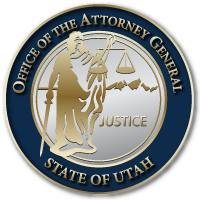 Utah Attorney General Sean D. Reyes today announced his office will challenge in the United States Supreme Court an attempt by the State of California to impose agricultural regulations on the State of Utah and Utah’s egg farmers. Utah is challenging a California law requiring Utah egg producers to comply with California’s new and much more restrictive farming regulations in order to sell eggs in California. The suit claims that California’s regulations violate both a federal law prohibiting states from imposing their own standards on eggs produced in other states and the Commerce Clause of the U.S. Constitution, which gives Congress exclusive authority to regulate commerce among and between states. In 2016, a three-judge panel of the Ninth Circuit Court of Appeals ruled that Utah and other plaintiff states could not prove harm beyond the effect on individual farmers. lacked standing to pursue their claims. Last week’s filing in the United States Supreme Court addresses the lower court’s concerns by providing a careful economic analysis establishing the impact of these burdensome regulations on American households, including those living below the poverty line. The lawsuit also asks the Supreme Court to take up the case directly instead of requiring that it first move through the lower courts. The state of Utah is joined in the challenge by 12 other states: Missouri, Alabama, Arkansas, Indiana, Iowa, Louisiana, Nebraska, Nevada, North Dakota, Oklahoma, Texas, and Wisconsin. This entry was posted in Recent Posts and tagged Missouri v. California on December 8, 2017 .